Opening Gran Meliá Nacional Rio in March 2017. 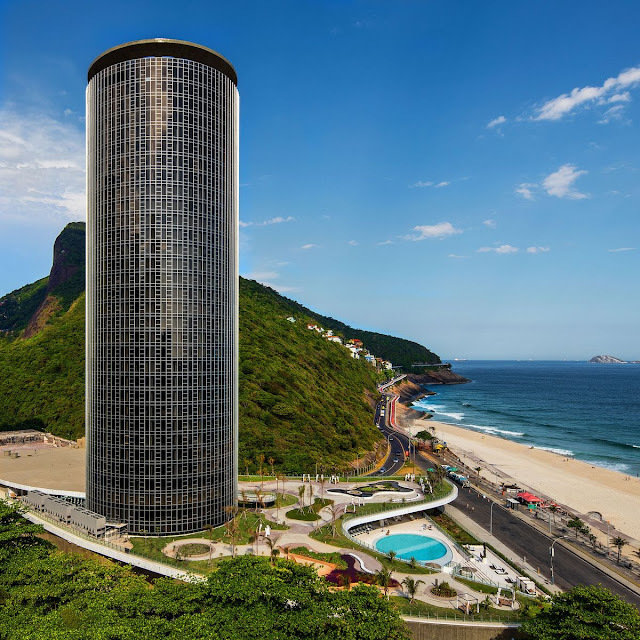 Meliá Hotels International will launch its first luxury hotel from the Gran Meliá brand in Brazil with the opening of Gran Meliá Nacional Rio in March 2017. Located São Conrado, an exclusive area of Rio de Janeiro, Gran Meliá Nacional Rio is one of South America?s most anticipated hotel openings. Originally built in 1972 by architect, Oscar Niemeyer, the famous ?Hotel Nacional? will reopen after more than a decade of lying abandoned as the Gran Meliá brand?s flagship property. Following extensive renovations, the property has been restored to its former glory, maintaining the hotel?s original features whilst incorporating the modern Spanish flare of the Gran Meliá brand. Renowned Brazilian interior designer Débora Aguiar has designed the communal areas of the hotel, including the VIP floor and the rooftop. Located in the southern zone of the city, Gran Meliá Nacional Rio will boasts 413 guestrooms, from 33 to 300m², including one presidential suites and 66 executive suites. The circular design and glass façade of the property results in panoramic floor to ceiling views of Rio de Janeiro from the hotel?s guestrooms, suites and communal areas.